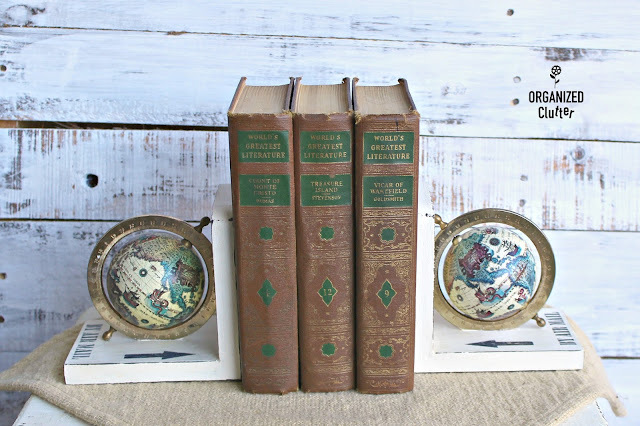 I purchased this set of vintage Made In Japan, Gifts Round the World bookends, at a thrift shop recently. I love globes but I want to lighten up my decor so I decided to paint the dark wood. 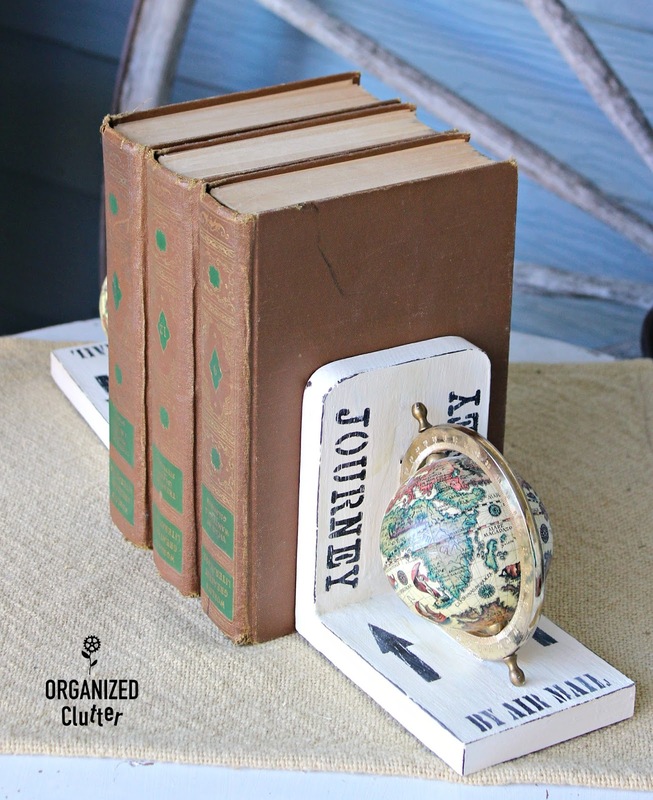 I painted the wood bookends with Rustoleum Light Tint Base Chalked Ultra Matte Paint in Chiffon Cream. It needs to be mixed. 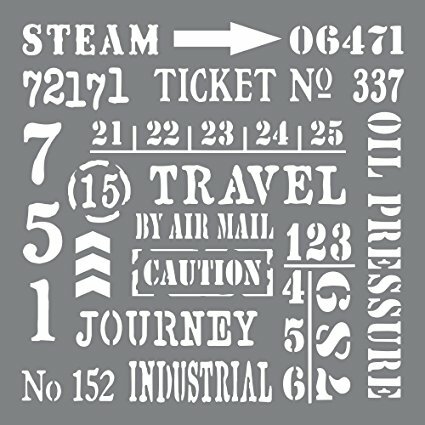 I pulled out my Andy Skinner Stencil-Industrial Elements stencil. I cut my stencil apart. It's almost impossible to stencil on a small surface with the 8x8 stencil. So I cut out the arrow, "Journey" and "By Air Mail". All stencils were done with black acrylic craft paint. When I cut apart a stencil, I store all the pieces together with a paper clip. I distressed all the edges with my FolkArt Layering Wood Block . Detailed instructions on the layering block are here. I used Ceramcoat Walnut Noyer acrylic paint with my layering block. I sealed the bookends with Varathane Clear Matte Finish Soft Touch Polyurethane . Lightened up, brightened up and stenciled. 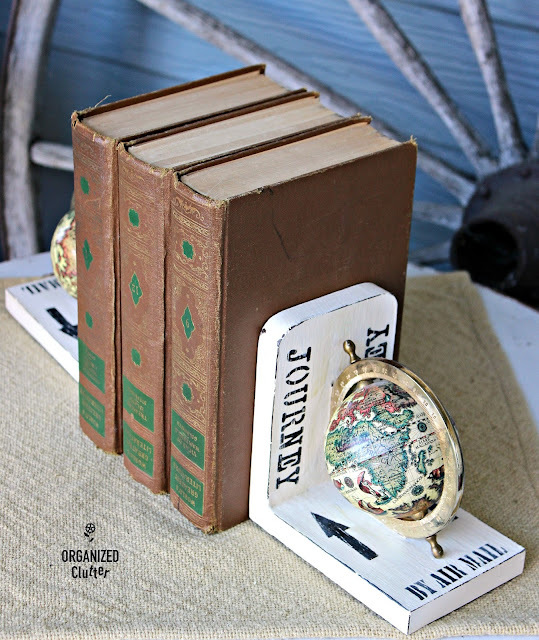 Carlene, when I saw those, I remembered they sell on Etsy just like they were, but I must say, I love the paint & stencils! It really did brighten it up considerably. Lovely job! I'm sure they'll sell in your booth. I needed to lighten them up for my dark books and bookshelves! Wonderful! 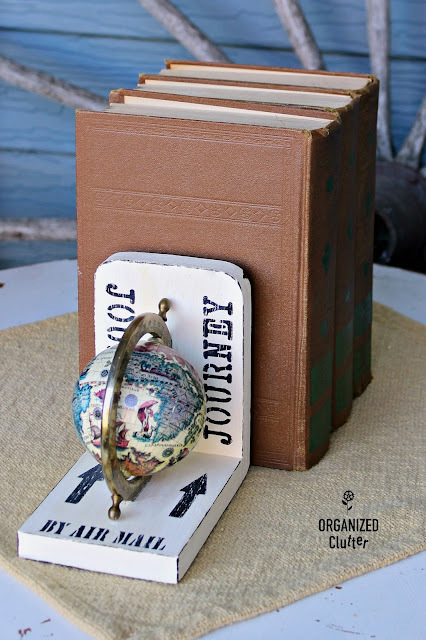 Prefect for a book lover! Amazing idea! These look great! My Mom had a set of these years ago.